On Wednesday, 3rd February, Professor Mirjam Foot, Emeritus Professor of Library & Archive Studies at University College, London, will give a talk for the Friends of Cambridge University Library. Matthew Parker, one of the most learned of all Archbishops of Canterbury, had a splendid library, the greater part of which is at Corpus Christi College. 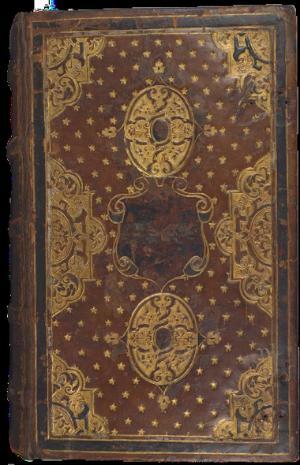 Parker was not only interested in the contents of his books and manuscripts, he also commissioned elaborately decorated bindings and employed bookbinders at Lambeth Palace. This talk will focus on the bindings of Parker’s own books and manuscripts and on those that he presented to others. The talk will be held in the Milstein Seminar Rooms at the Library, beginning at 5.30 pm. Refreshments will be served from 5.00 pm. All are welcome and admission is free.